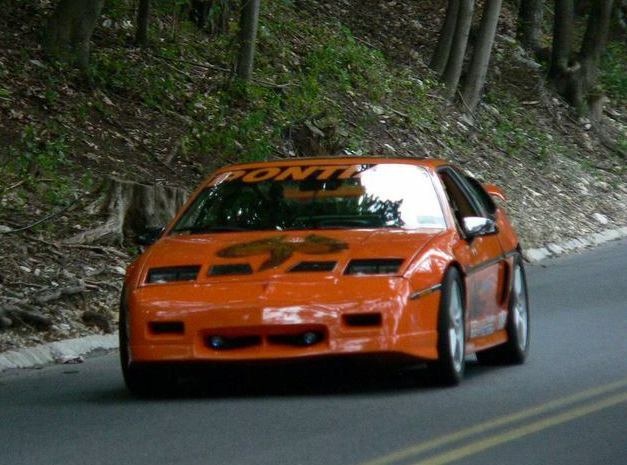 Additional Info: This mid engined car by Pontiac is a popular car used by many kit car manufacturers (see pics above for small example). 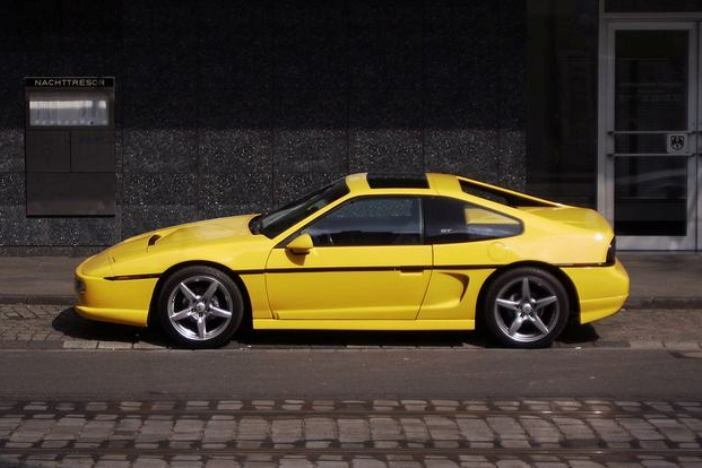 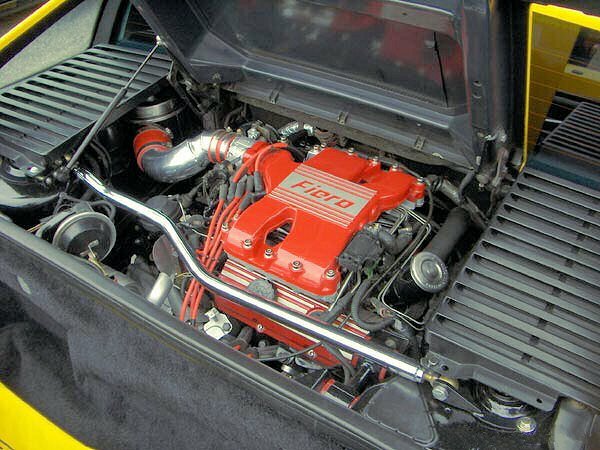 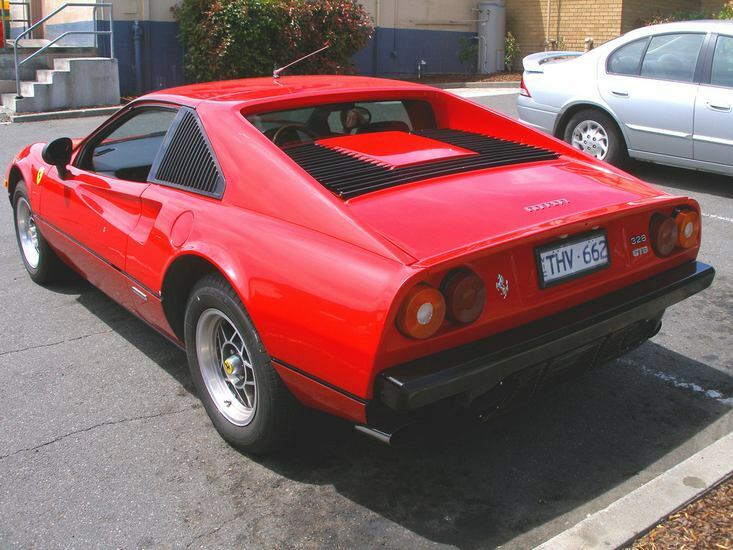 Both the Formula and GT got a 135bhp 2.8 V6 in 1985, while the 1984-1986 base and SE models got a 2.5 V6 with 98bhp (0-60 in 10.9-11.8, 1/4 mile in 17.8-18.6 secs). 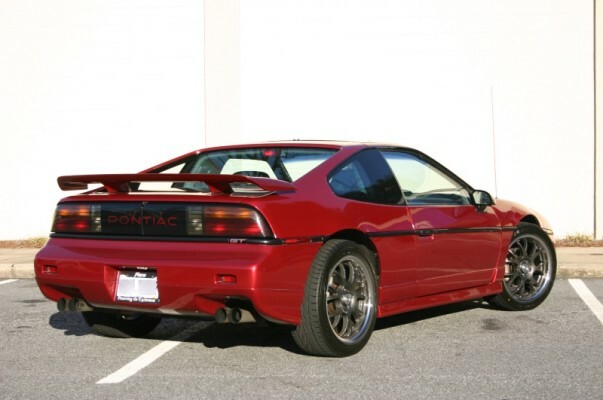 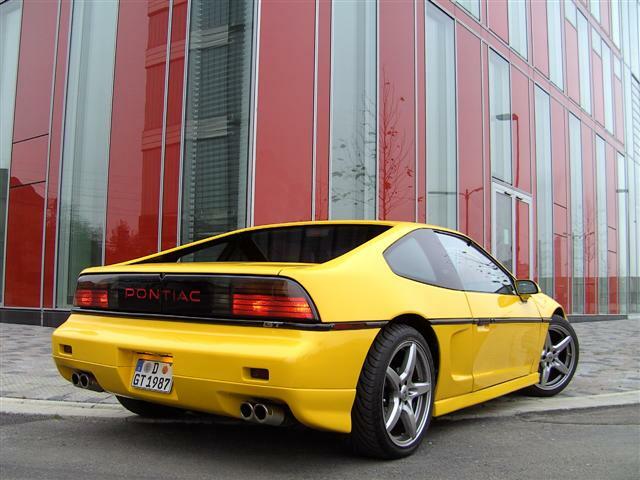 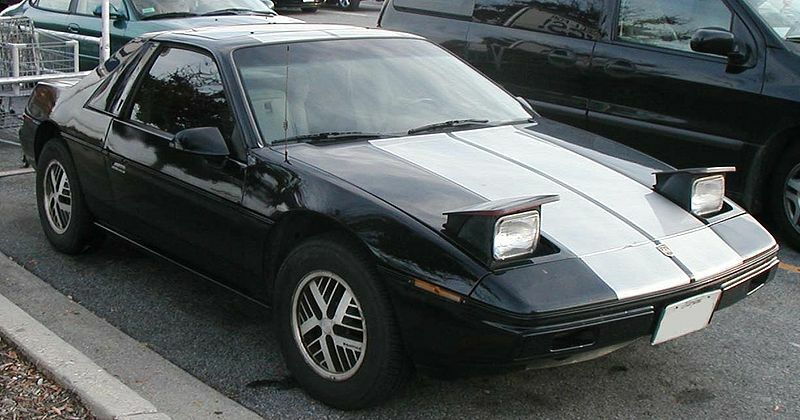 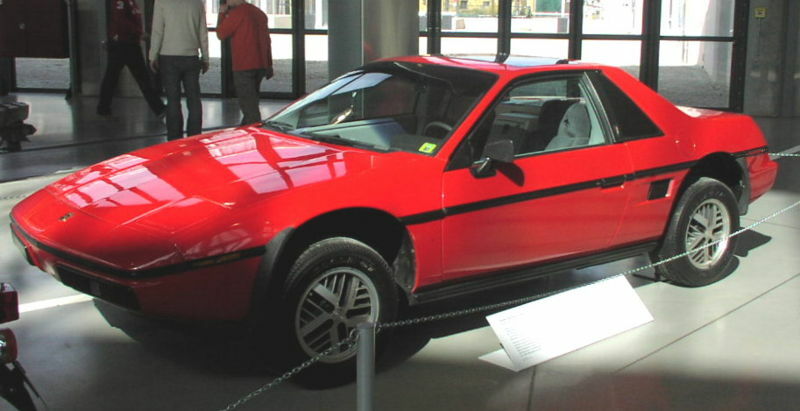 A Fiero fastback GT model was introduced in 1986, although the Formula and SE were as per the original coupe body design. 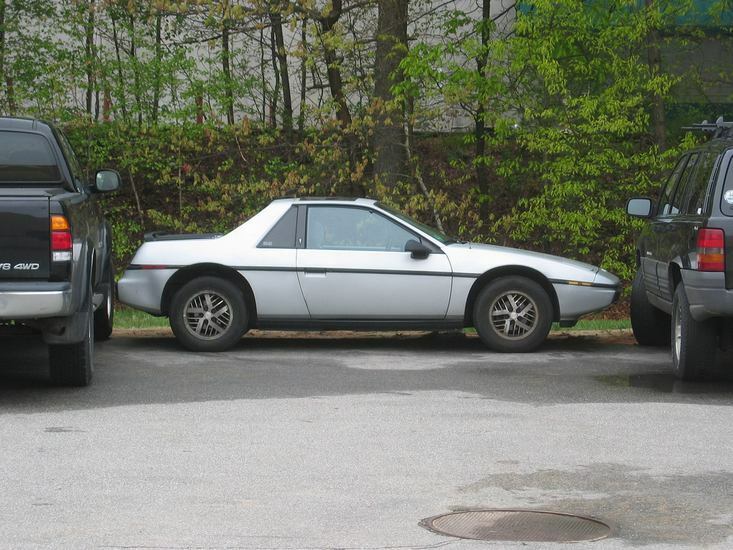 Two different 5 speed manuals and an automatic were also offered. 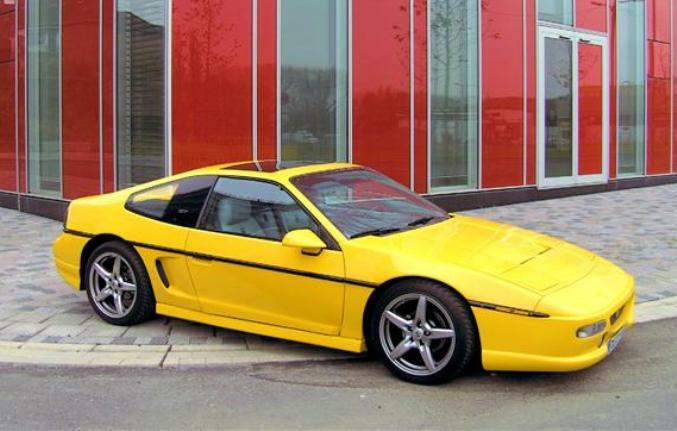 Also to note was a 4 cylinder model being available, as well as a number of changes (cosmetic and suspension) during it’s production, with slight performance differences in road test reports. 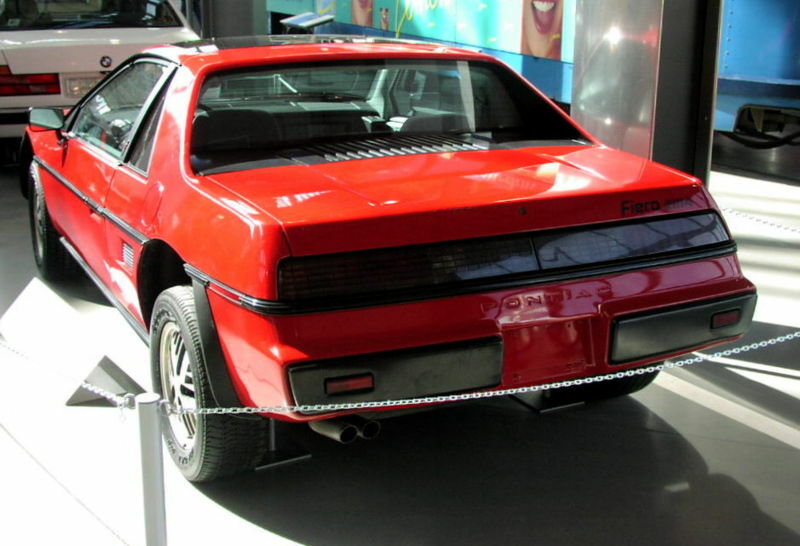 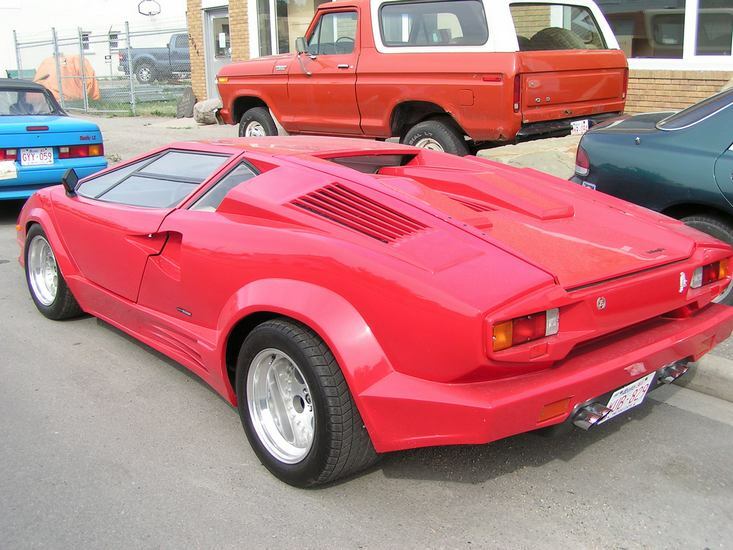 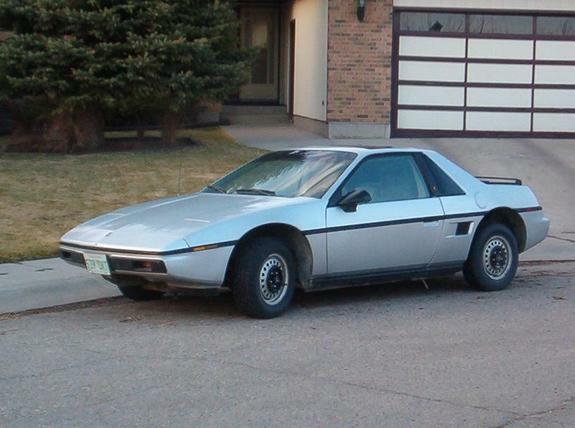 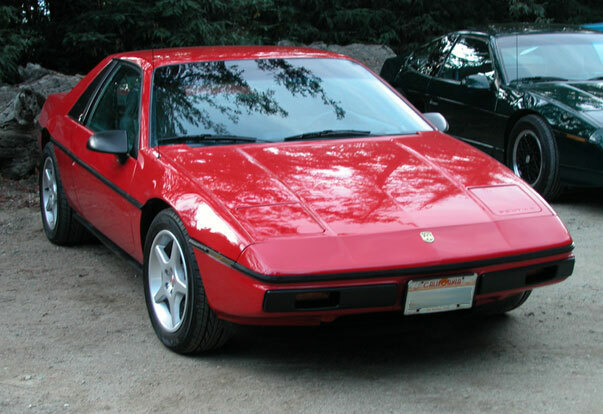 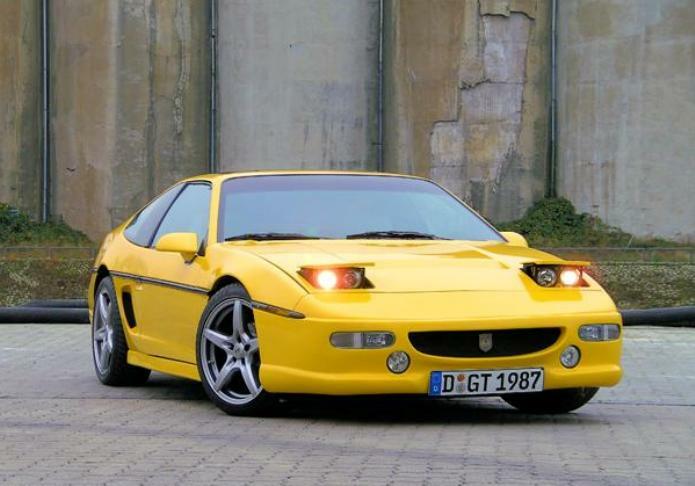 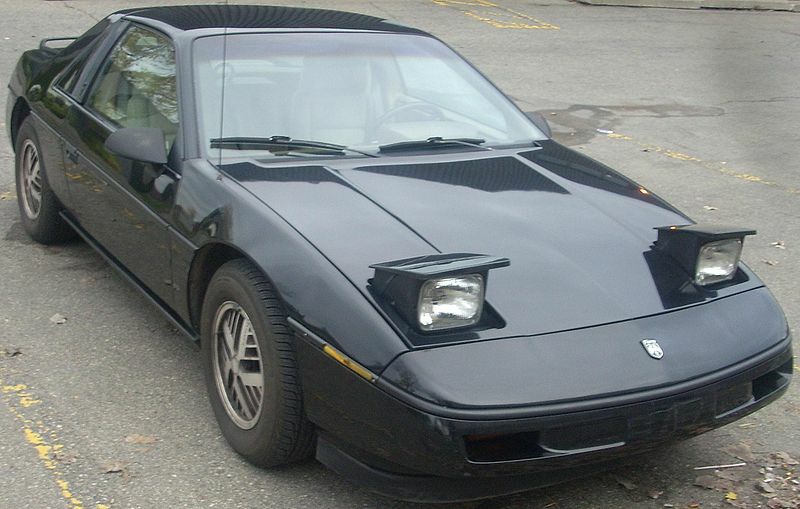 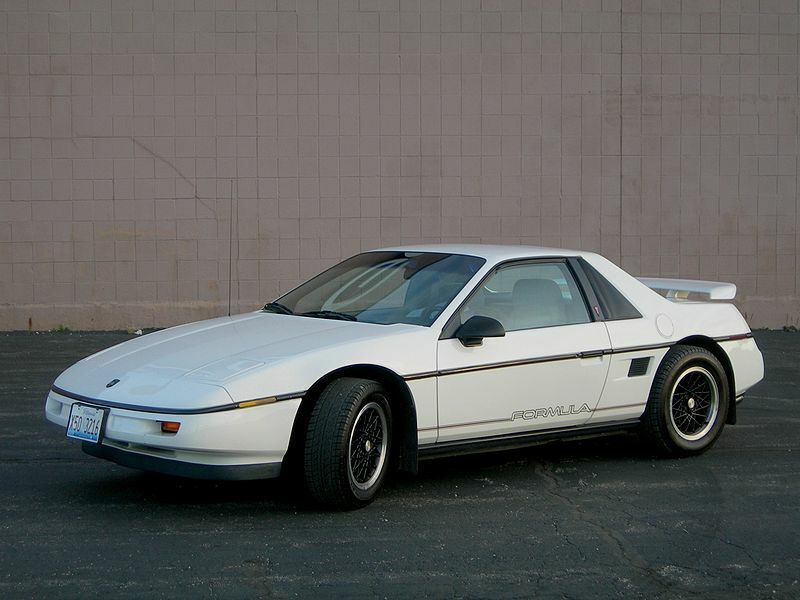 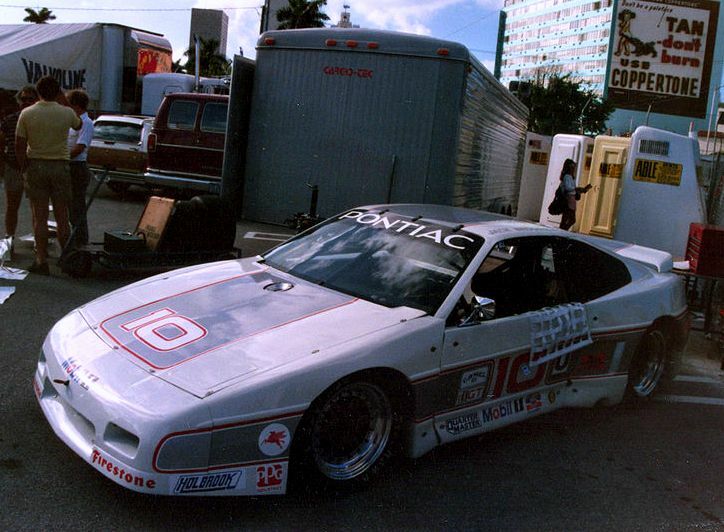 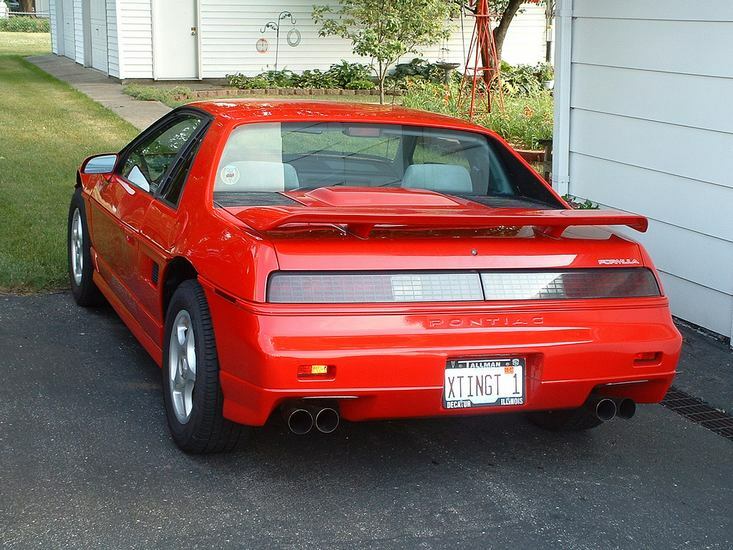 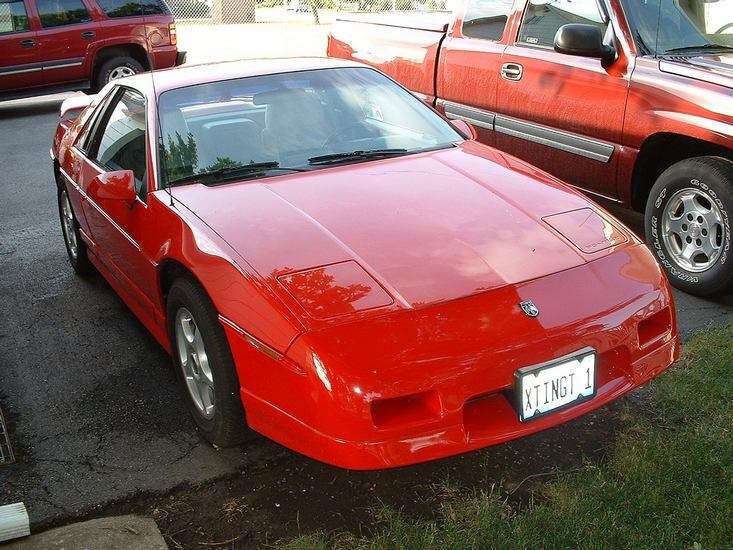 A nice 1989 prototype of a new designed Fiero was seen at a few shows, but did not see production.